View Poll Results: What type of Clouds do you like? I was going to post this in the "type of sky cover thread" but figured I do a poll on it. You can choose more then 1. 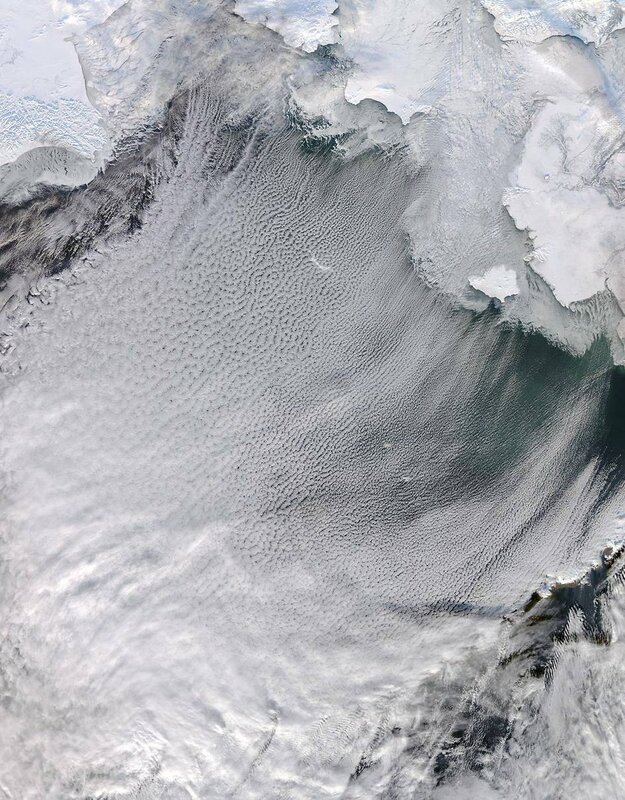 Cloud Streets are awesome too when arctic air is around, especially over warmer waters like this..
"Cloud streets" form over Bering Sea: ice, wind, cold temps & ocean water form parallel clouds"
I once saw a cumulonimbus cloud so high I thought a bad storm was imminent, I checked the radar and it was actually 30-40 miles away in CT, I still regret not taking more pictures of it, it was unreal. I had a software called GRlevelX couple yrs ago and it was able to give you a 3D look inside and out of a storm and also see the Height of it.. I cancelled it since it was more a seasonal thing but one thing I realized from it.. Just like you said I thought a storm was closer than actual because of the towering Cumulonimbus, but it was 40+ miles away near Waterbury. They were getting hit hard. It's hard to see true height with big storms because of all the structures, trees and hills around here. but sometimes you get that open view and good timing and it's impressive to see.. but deceiving for sure. I sometimes forget, vertical growth of a storm looks closer than actual. (at least that's what I learned from that experience). I should of chose that option but didn't, pretty to see but not my favorite. ^^ That's a cumulonimbus I believe. 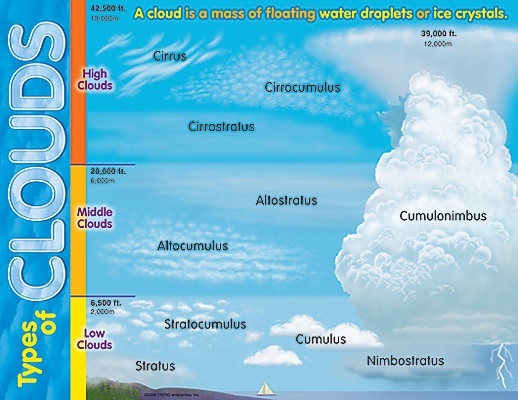 My favorites are cumulonimbus during summer and stratus during a cold winter day. Actually it's cumulus congestus. It could turn into cumulonimbus though. I like all types of clouds except cirrostratus, and I'm not a huge fan of stratus clouds either. I forgot to mention that noctilucent and polar stratospheric clouds look cool in pictures, but I have yet to see one in real life. 4. In winter, stratus (and thus fog) are appreciated. In summer, they better stay out of my way. Or just fog in the morning. 46415641465266.2 Altostratus - same as above. Hate 'em. 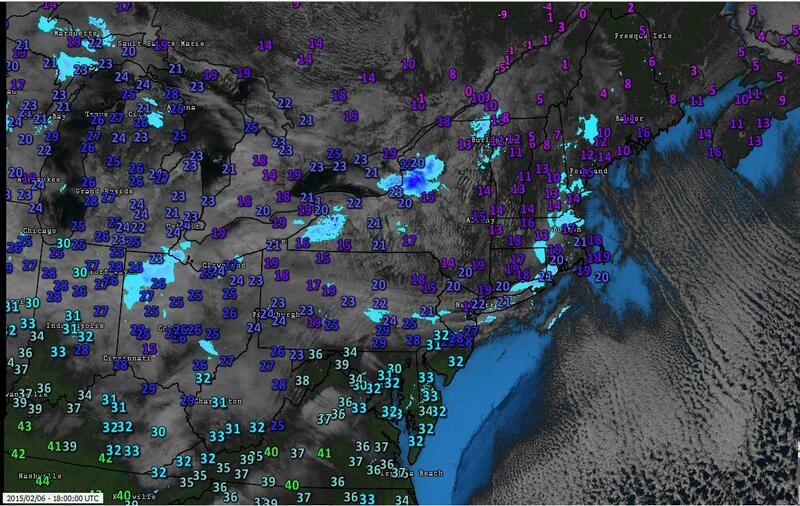 Nimbostratus and stratus are both common in the winter. I can appreciate fog but low cloud is quite depressing. Fair weather cumulus us my favourite, providing they don5 block the sun too much. Cumulonimbus is interesting and pretty cool at night when you can see distant lightning. I really like cirrus too. They occur when the air is dry and the sky is deep blue.